The sun is out and it’s finally getting warmer! 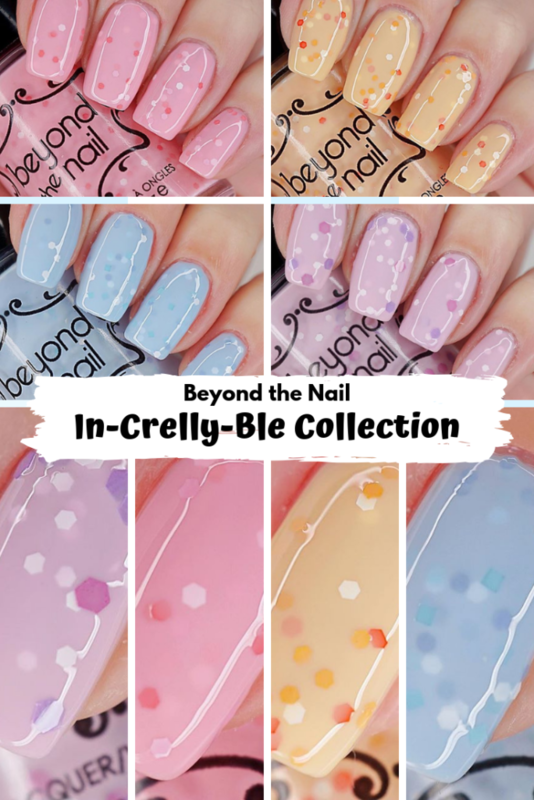 With the spring weather, Beyond the Nail has released the In-Crelly-Ble Spring 2019 Collection. This collection includes 4 glitter crelly polishes, with similar shades of glitter that matches the base colour. They take about 3 thin coats to get the best opacity. When I was making them, I wanted them to be 2 coaters, but you wouldn’t be able to see the glitter as clearly. 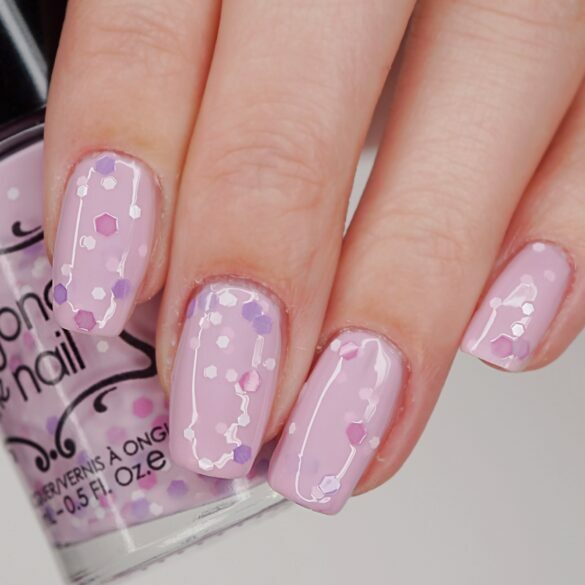 What’s the point of having glitter in nail polish if you can’t see it? This nail polish has a beautiful pink crelly base, filled with white and different shade of pink glitter! My swatches have three thin coats, followed by one coat of topcoat. 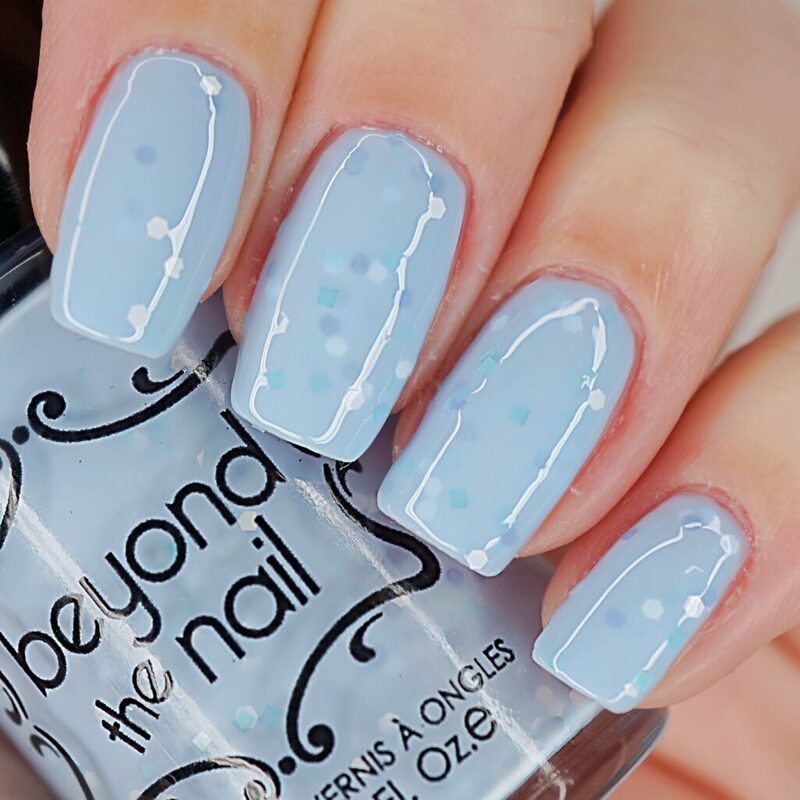 This nail polish has a beautiful light orange crelly base, filled with white and different shade of orange glitter! My swatches have three thin coats, followed by one coat of topcoat. 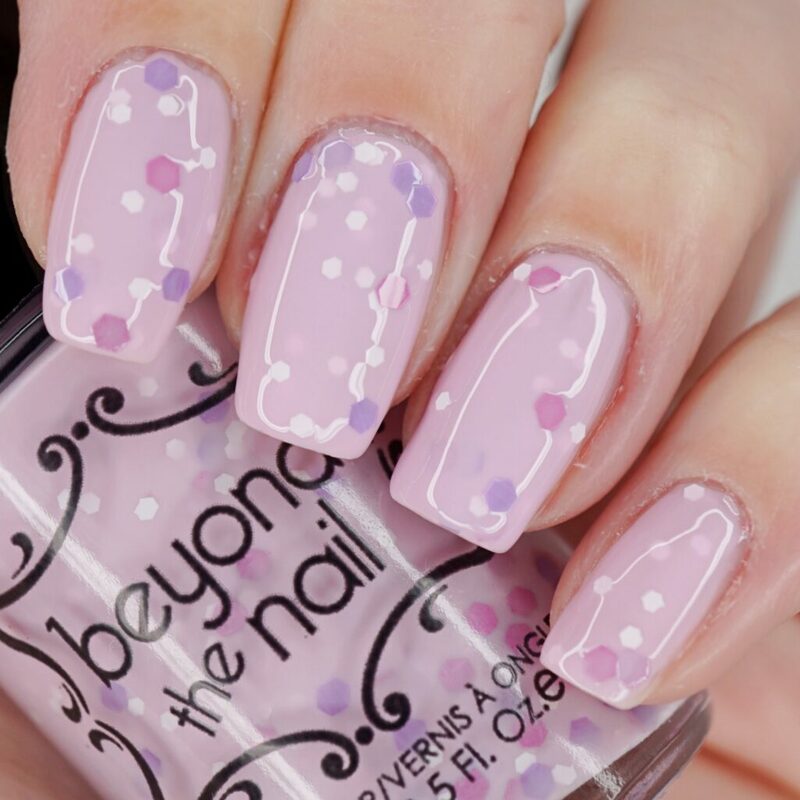 This nail polish has a beautiful light purple crelly base, filled with white and different shade of purple glitter! My swatches have three thin coats, followed by one coat of topcoat. 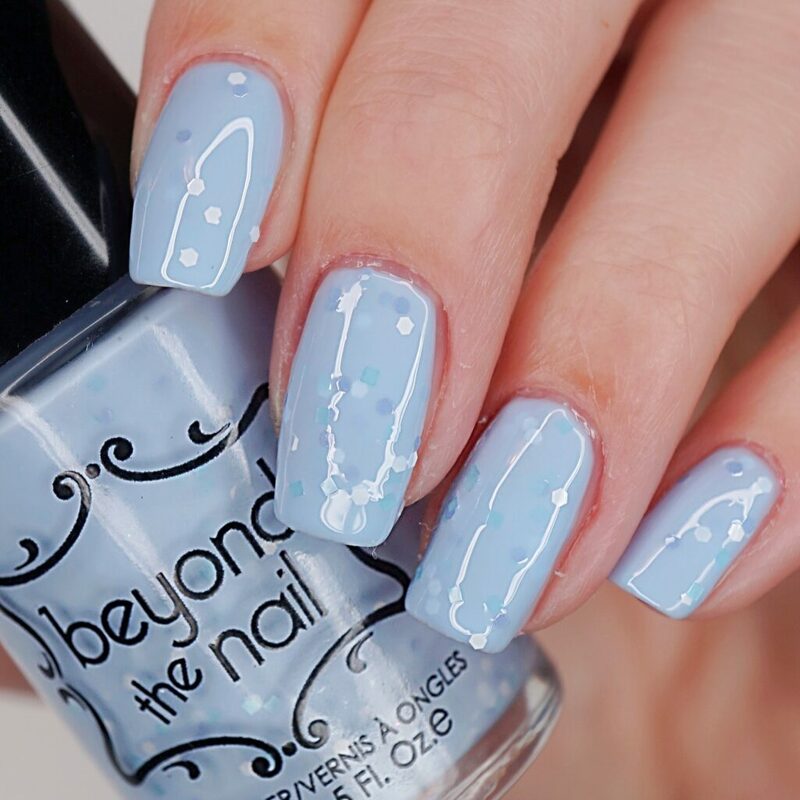 This nail polish has a beautiful light blue crelly base, filled with white and different shade of blue glitter! My swatches have three thin coats, followed by one coat of topcoat. The In-Crelly-Ble Collection is so fun to wear during the spring! 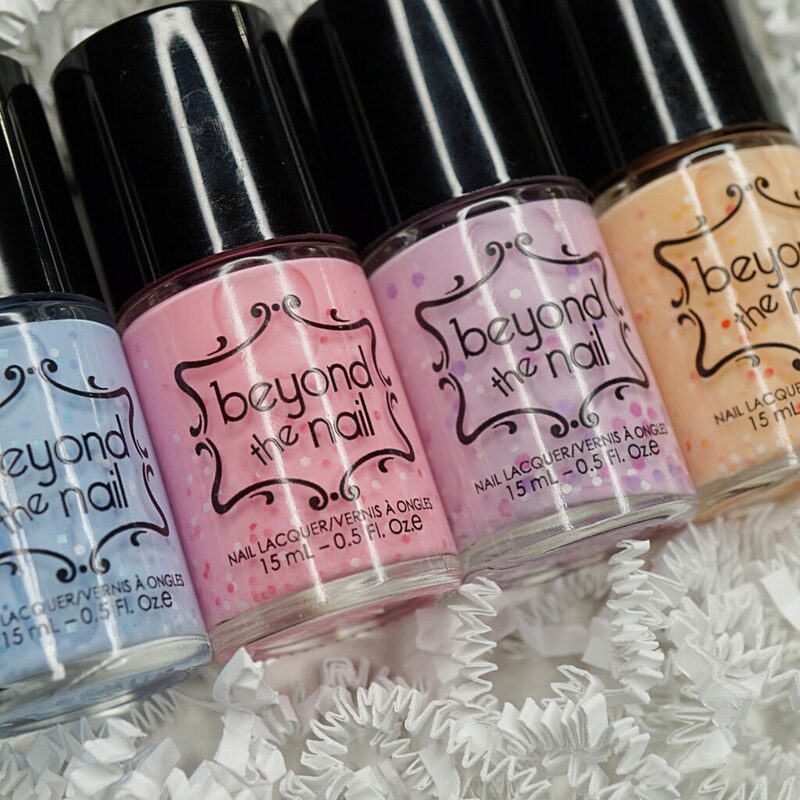 It’s definitely a fun set of nail polishes to bring on the warmer weather! 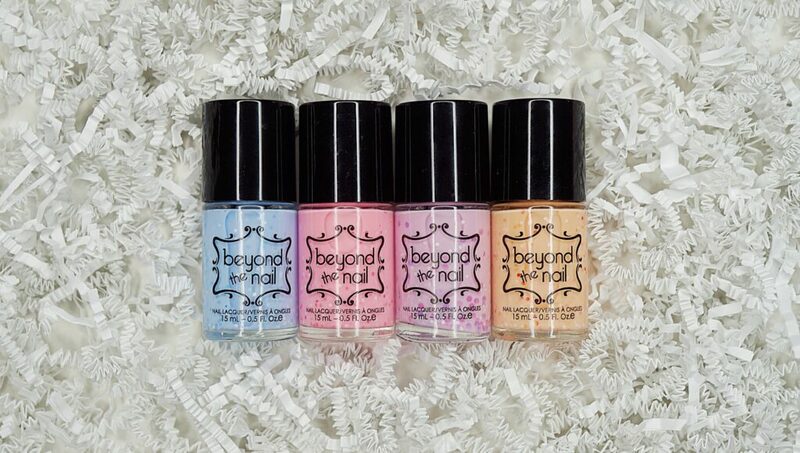 Each polish is $9.00 CDN!